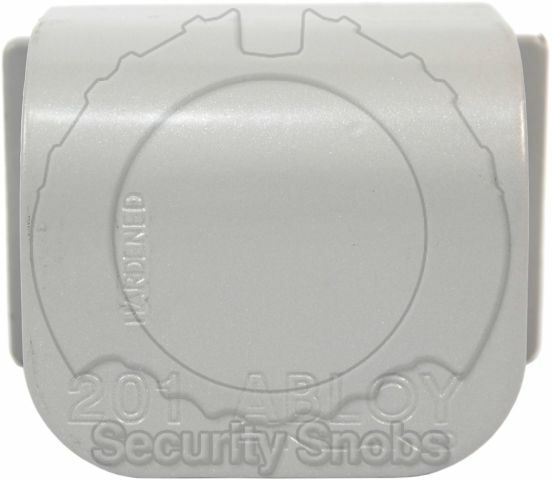 Abloy's Heavy Duty Hasps are best suited for their Grade 4 through 6 padlocks (PL 340 and higher). They are made of hardened steel and wrap over the top of the lock for maximum resistance against physical attack. 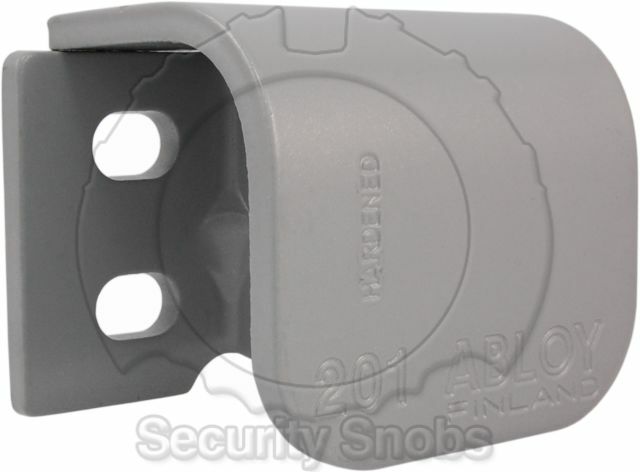 The shackle hole size is 18mm and fits both Shrouded and Non-Shrouded padlocks. Most padlock hasps are handed meaning depending on how the door opens can decide which hasp model should be used. 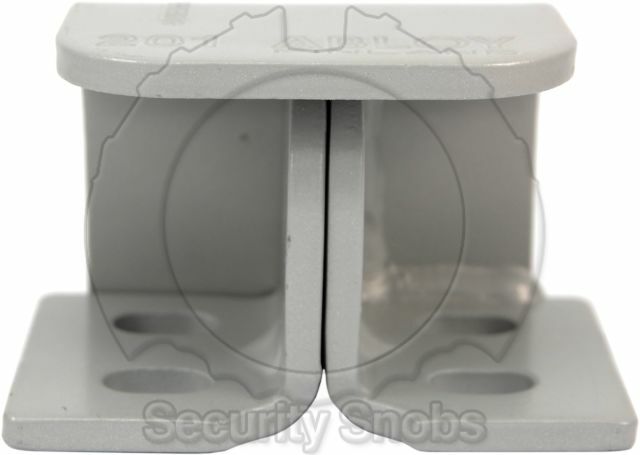 If the fixed mounting surface is on the left side you want a right handed hasp. If the door that is opening outward is on the left side you want a left handed hasp. 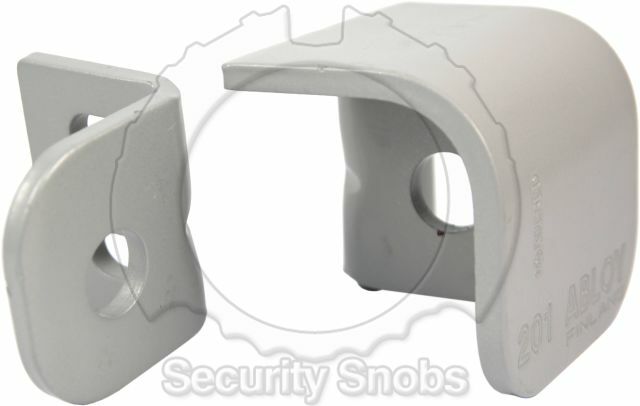 If the fixed mounting surface is on the left side you want a left handed hasp. 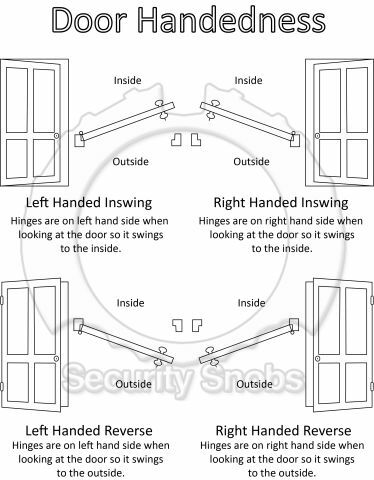 If the door that is opening outward is on the left side you want a right handed hasp. The handedness does not matter. For more details please see our Backset Handedness page. 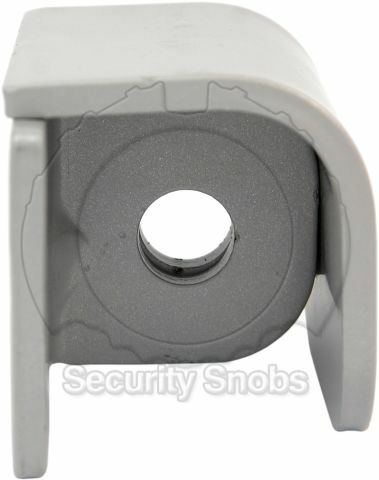 Abloy Heavy Duty Padlock Hasp was successfuly added to your shopping cart. You can browse for more products or proceed to checkout.